Trekking in the Annapurna region is nothing less than spectacular. You check into Kathmandu for a night to enjoy this wonderful city. You then head to Pokhara which is west of Kathmandu. Once you arrive in Pokhara you can explore this city by the lake. Wonder around this beautiful town with great Himalayan views. From here we start the 14-16 trek through the foothills and high into the Himalaya’s you will encounter some Himalayan giants and experience true mountain living. You will stay in lodges, use 4 wheel drive vehicles and experience mountain passes like nowhere else on earth. We also run private Annapurna Circuit Treks for groups and offer 1 FREE SPACE if you have a group of 10 climbers. Our Annapurna treks use the best lodges and offer a service second to none. 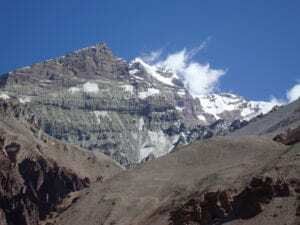 We have qualified guides to know the route and best way to acclimatize on route into the Annapurna sanctuary. Contact us and find out why we have the best success rates on all our Himalayan treks.